The DLI 9000 has been discontinued. No direct replacement is available. 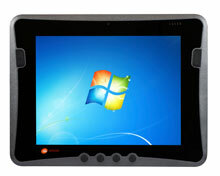 The DLI 9000 rugged tablet is the perfect solution to capture the customer and complete the sale. Our exclusive 5-in-1 payment module, which is an evolutionary combination developed by DLI of five features for full service payment processing, is an available option to the DLI 9000 rugged tablet. The module"s state of the art design includes a magstripe, debit pin pad, contactless payment (NFC™), EMV™, and barcode scanner. The DLI 9000 rugged tablet lightweight design, weighing in at two pounds, and large industrial rated 9.7" indoor/outdoor LCD touchscreen, allows you to easily go to the customer with full payment portable processing. It empowers you to deliver immediate customer facing solutions resulting in increased sales whether you are collecting table side orders, line busting, or providing roaming customer service. 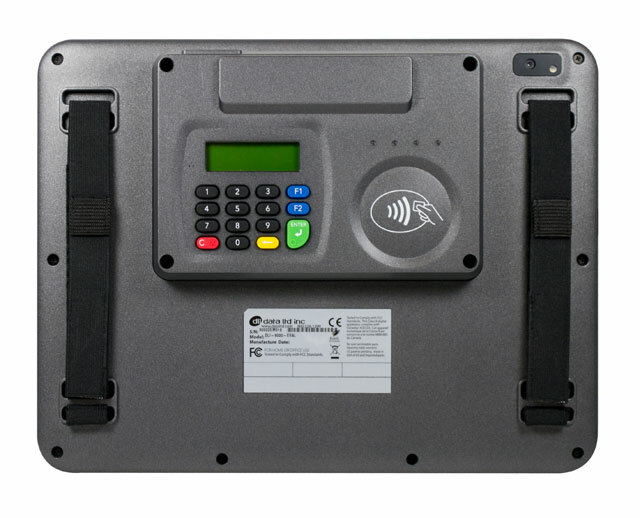 The DLI 9000 rugged tablet offers your customer a secure & convenient way to pay with a PCI compliant debit pin pad and integrated TPM chip set. 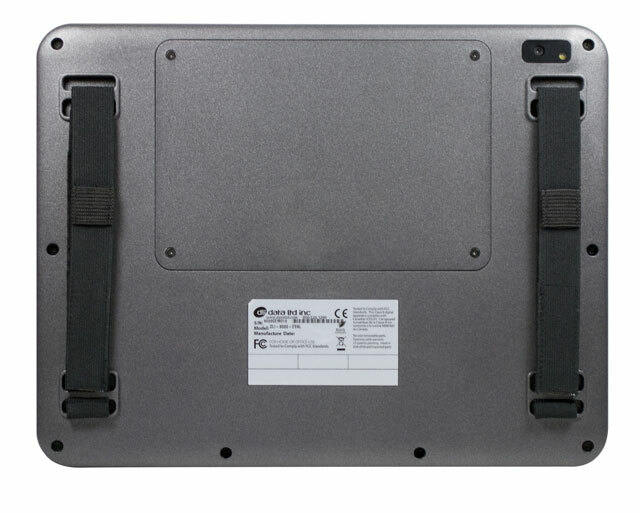 Housed in an impact-resistant IP54 enclosure, DLI has successfully merged the industrial requirements of a rugged tablet with the sleek design desired by users, revolutionizing the tablet industry. 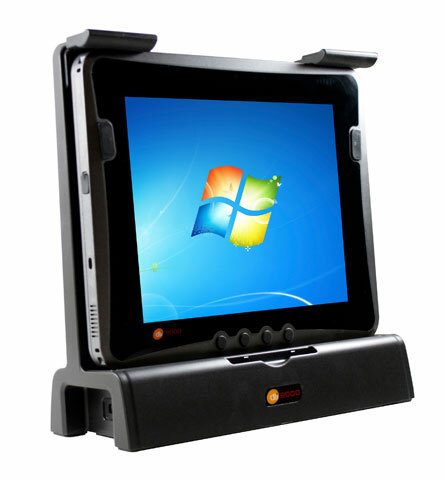 Built on standard PC architecture the DLI 9000 rugged tablet enables you to deploy the same POS applications that reside on the fixed station terminals bridging the gap between you and customer. This platform has an additional advantage offering increased flexibility in the management & maintenance of both OS images (Windows or Android) and OPOS/JPOS compliant drivers. 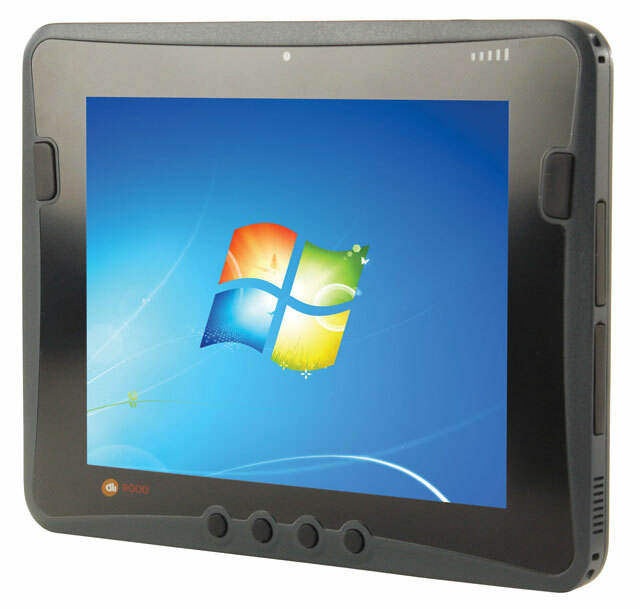 The 9000M Health care Tablet also boasts an antimicrobial outer shell and screen protector. Wi-Fi (802.11a/b/g/n), Verizon Embedded Gobi 3000 (CDMA) (EVDO-A), Windows Embedded Standard 7, 5 in 1 Payment Module: (MSR, 1D/2D CMOS Barcode scanner, Debit Pin Pad, Smart Card Reader (ISO 7816), RFID NFC Reader), USB interface, Micro HDMI connection, 2MP camera (back), 1.3MP camera (front), GPS, Bluetooth. No RF Pass Through. Inclues battery pack. Power supply and interface cables sold separately. Shoulder Strap with 2 Tether Loops. $1,500 minimum on every DLI order. Device Cigarette Lighter Adapter W/Standard Adapter (12-24V DC Input). $1,500 minimum on every DLI order. Replacement Stylus. $1,500 minimum on every DLI order.